You copied, download or GIT-cloned a project from one computer to another. You opened a .NET Core solution file created with a previous version/build of Visual Studio or before updating your local Visual Studio installation. You installed a newer version of the .NET Core Runtime and/or SDK (or uninstalled a previous one). Luckily enough, there are a number of things that can be done to fix that problem for good: let’s see what can we do. 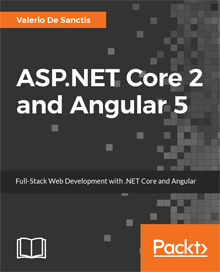 The first thing to do is to be sure that the right .NET Core SDK and/or Runtime are installed on your system: the most recent builds and versions can be found on the official .NET Core downloads page. Notice that the .NET Core Runtime alone is only needed if you want to be able to run the executable only: if you require to actively build the production using VS2017 you will need to get the SDK, which does also include the Runtime. Also, if you’re looking to run a specific project developed and built with a specific version of the SDK/Runtime, be sure to get and install it: conversely, if you’re doing that for your own solutions, getting the latest version is highly recommended – you will patch your local project files accordingly. As soon as you’ve installed the required (or latest) .NET Core SDK and/or Runtime, try to launch your solution file again and see if the issue is gone before proceeding. Having multiple .NET Core Runtimes, SDK and Tooling sets installed might prevent Visual Studio from working properly for a number of reasons: wrong paths, outdated references/project/solution files, and so on. To prevent these kind of issues, you should always be sure to uninstall the .NET Core versions/builds which you don’t require anymore from your development machine. It’s worth noting that you should only uninstall the SDK and Runtime versions/builds you’re sure you don’t need anymore. If you’re a .NET Core developer, there’s a good chance that you might want to keep multiple SDK on your machine to be able to run/compile different projects/solutions… Just be sure to get rid of anything that you’re sure you don’t need anymore, as that will greatly help Visual Studio – and your environment’s .NET Core versioning system in general. IMPORTANT: While looking at the installed versions/builds, it’s worth checking that you don’t have a runtime conflict between the 32-bit Runtime and the 64-bit SDK or vice-versa: if that’s the case, try to uninstall one of them as explained above, or install the same SDK version for 32-bit and 64-bit. As soon as you’ve uninstalled everything you need to, check again your solution file again: if the original issue is still there, hop on to the next step(s). The global.json file has been introduced in may 2017 to allow selection of the .NET Core tools version being used through the sdk property. If a global.json file is found (and the SDK version it references is installed), then that version will be used for all SDK commands. If it can’t find one, it will just use the newest version of the SDK installed on the machine. For further info regarding the global.json file, read the official MS docs. According to this StackOverflow answer, renaming the Microsoft.NET.Sdk.web reference to Microsoft.NET.Sdk within the project file might fix the issue, at least in some scenarios. To do that, open your .proj file and replace <project sdk="Microsoft.NET.Sdk.web"> with <project sdk="Microsoft.NET.Sdk"> . As a matter of fact, the dotnet CLI sets the MSBuildSDKsPath environment variable when invoking MSBuild: however, a December 2016 patch changed the CLI behaviour so that it will respect an existing environment variable, if it has already been set: this will allow the developer to “force” the CLI to use a specific SDK. It seems that sometimes installing the .NET Core 2.0 SDK will cause issues with the PATH environment variable: verify that both C:\Program Files\dotnet and C:\Program Files (x86)\dotnet are in the PATH environment variable. Previous Article What are Advertising IDs and how are they compromising our Privacy?